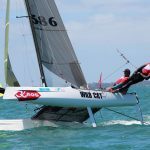 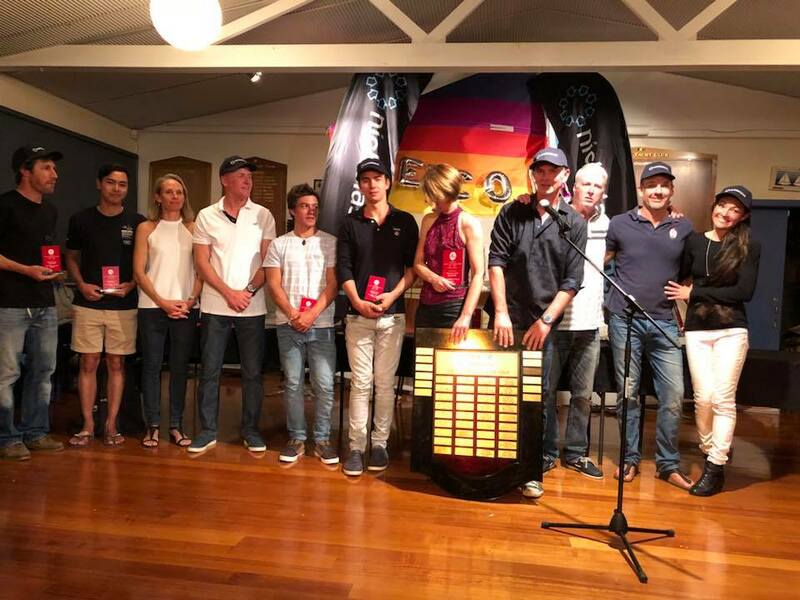 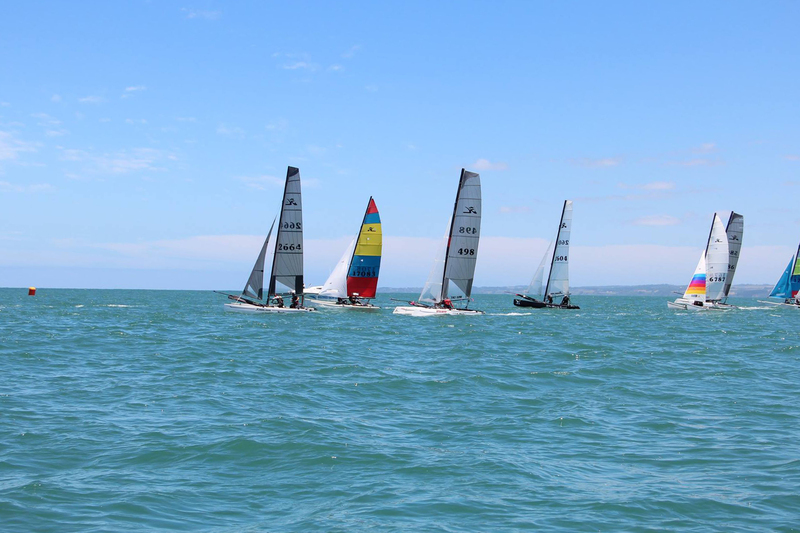 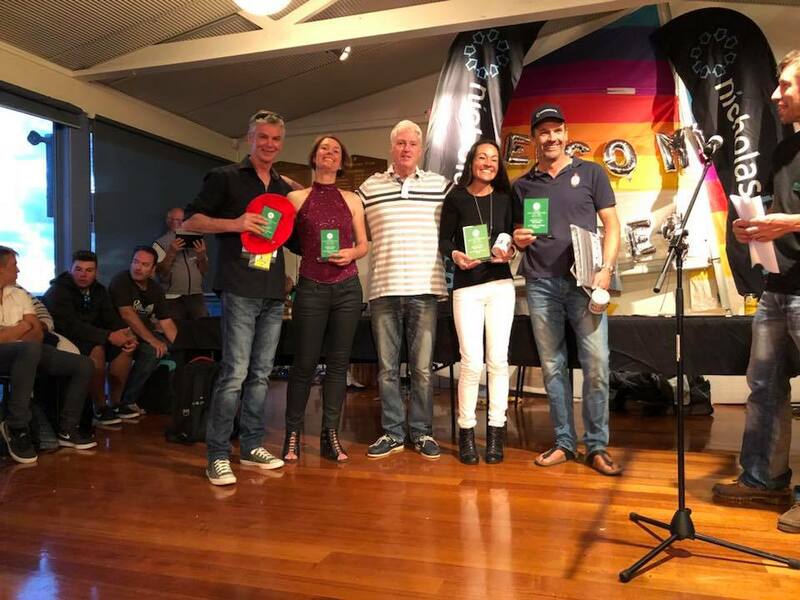 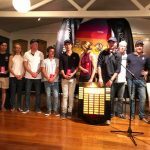 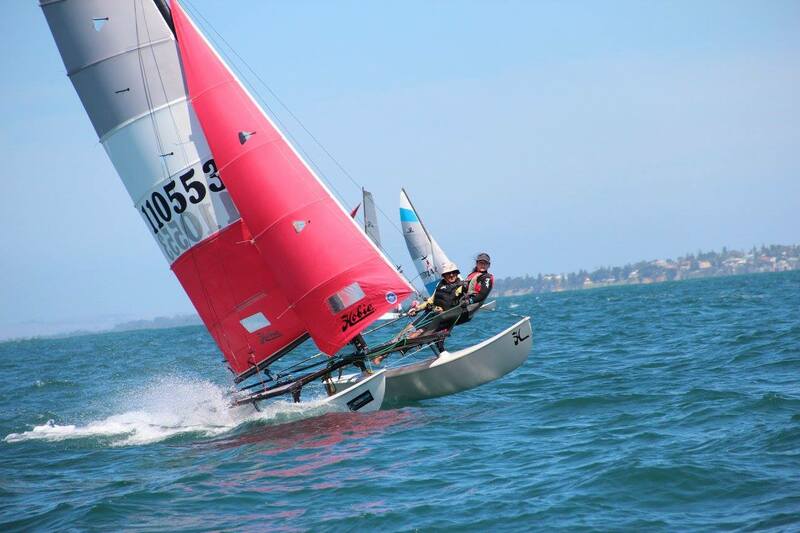 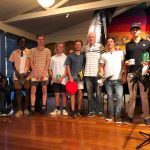 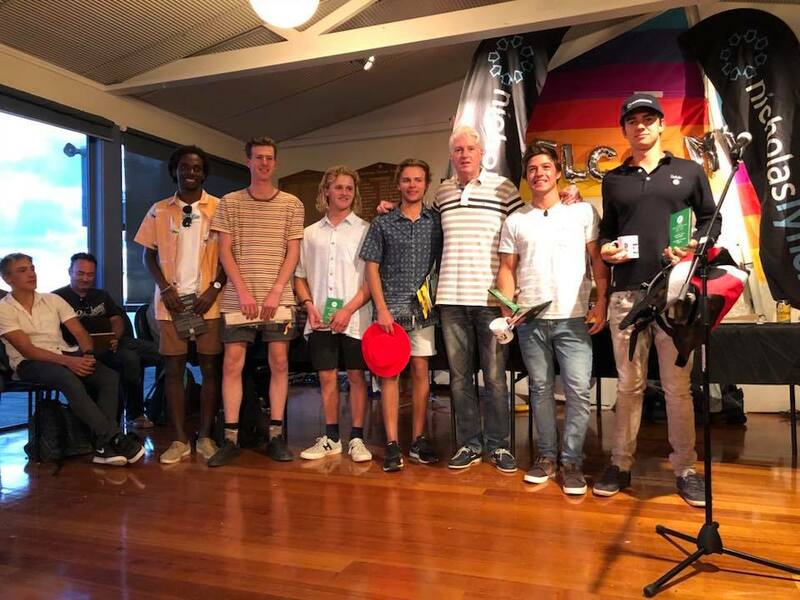 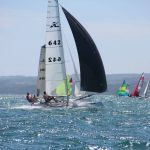 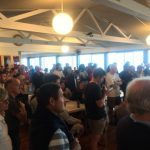 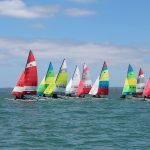 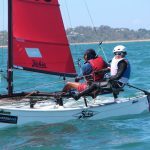 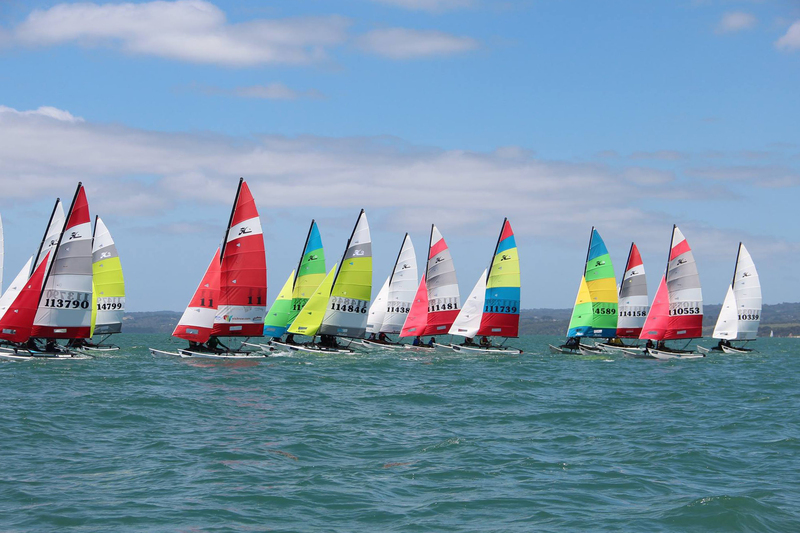 It was a very competitive fleet with former Hobie World Champions, Olympians, podium winners at Hobie Worlds, past National Champions and a host of local winners. 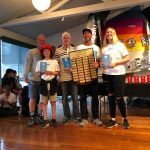 Whoever wins in their class is going to have to work hard. 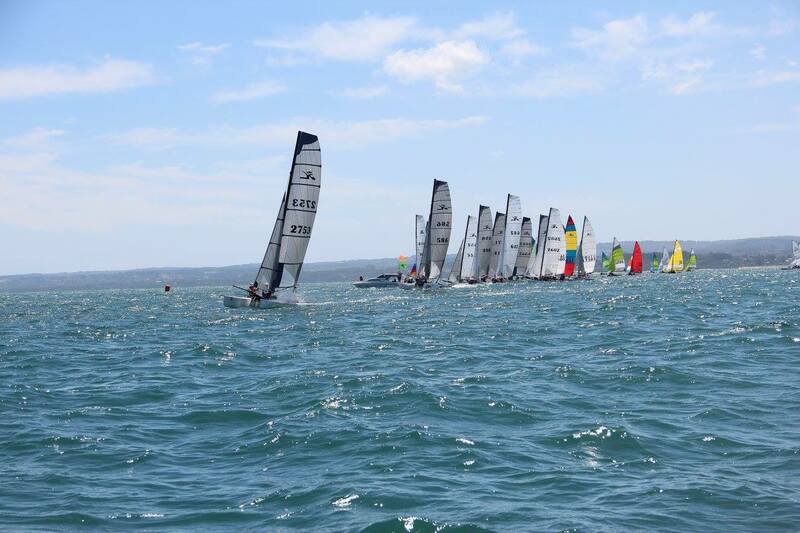 Unfortunately, the wind was not behaving with wind gusting above 30 knots at the time of the start of first race. 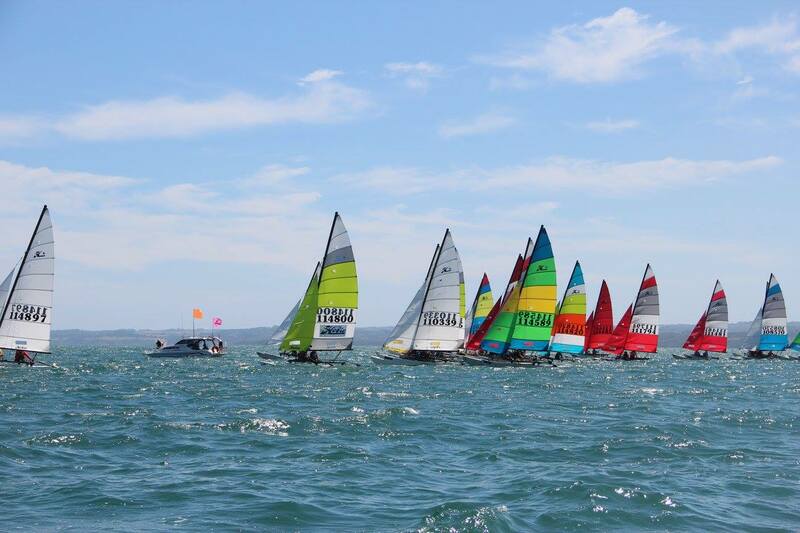 The Hobie fleet was wisely kept ashore. 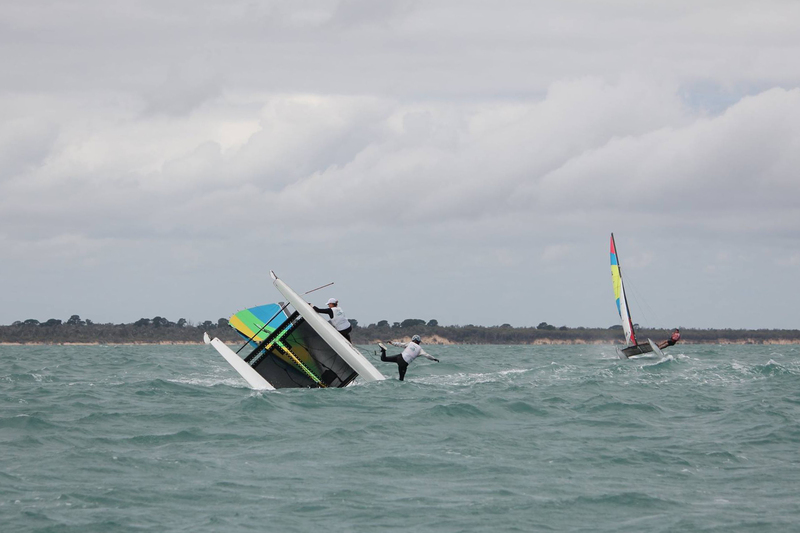 Racing was cancelled as the wind was constantly above 30 knots. 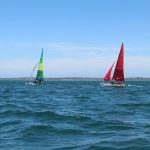 After the frustration of not being able to sail due to the strong breeze a very light and variable 2-4 knots greeted the sailors. 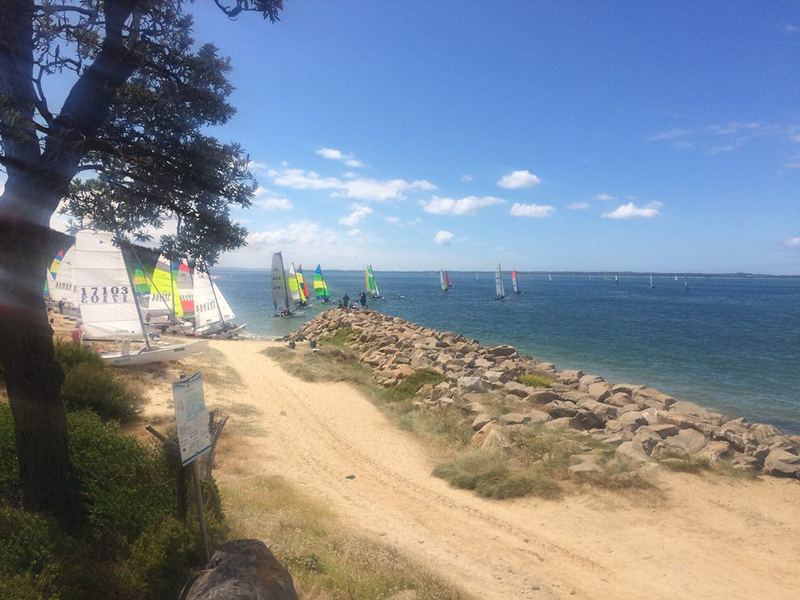 After patiently waiting a light sea breeze from the South West arrived. 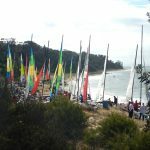 The boats left the beach for the racing. 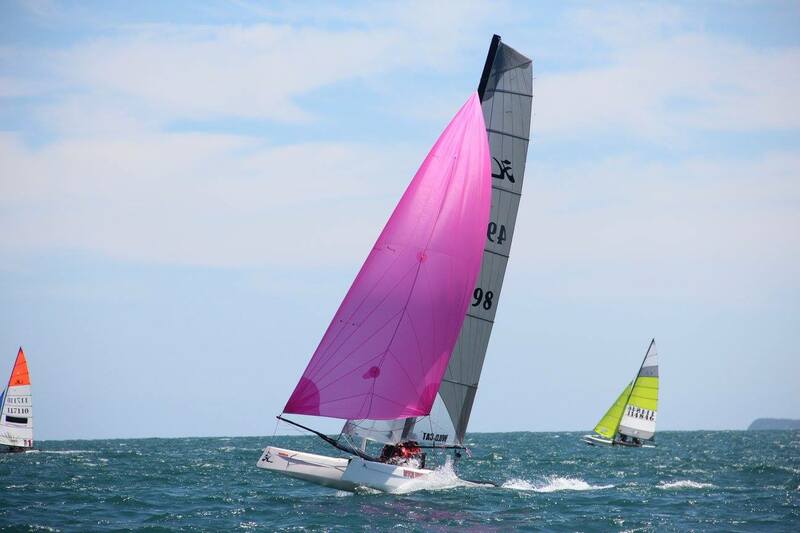 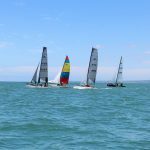 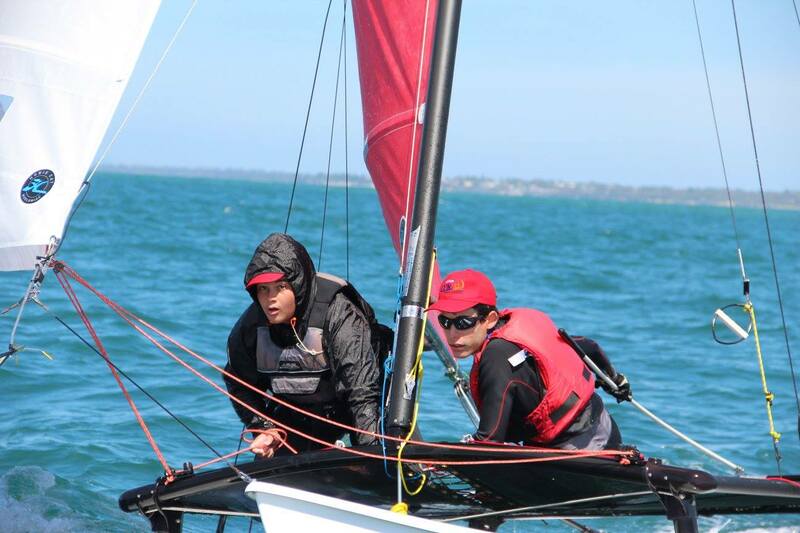 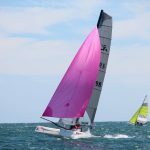 Four races were sailed in a steady 10-14 knots sea breeze. 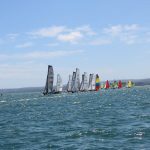 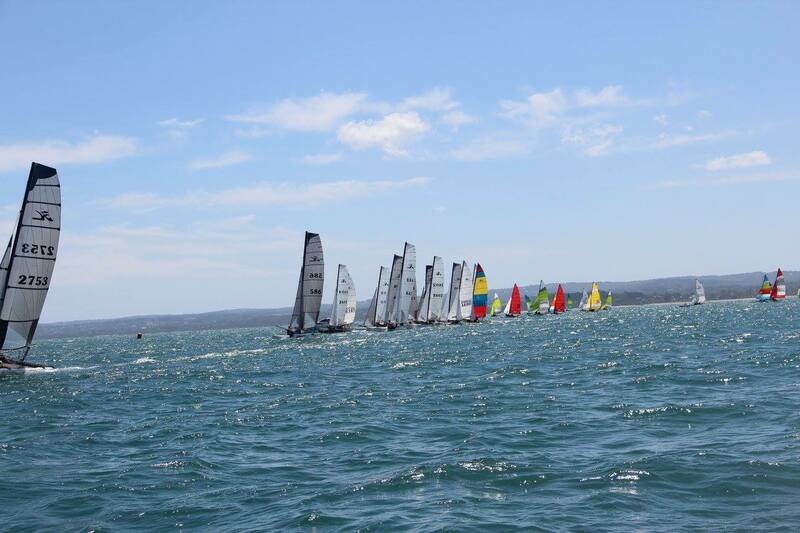 With flat water and steady winds the Hobies hit near maximum in Westernport Bay. 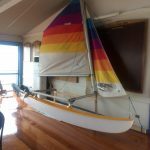 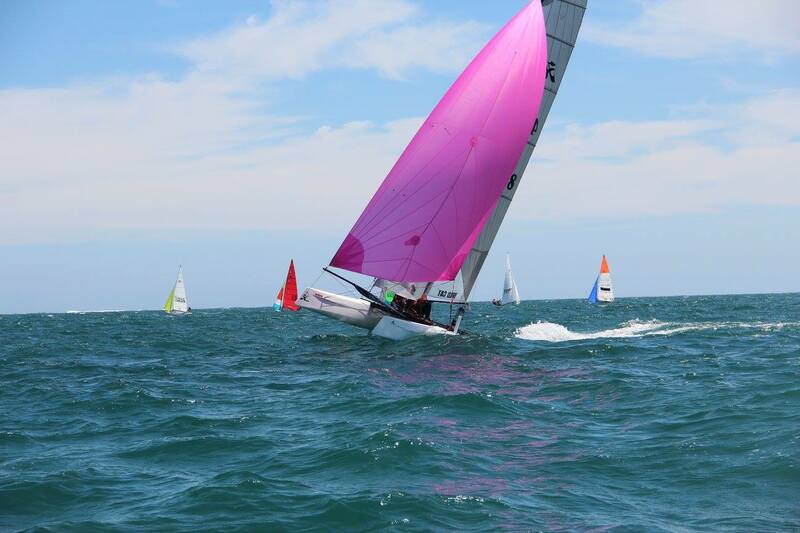 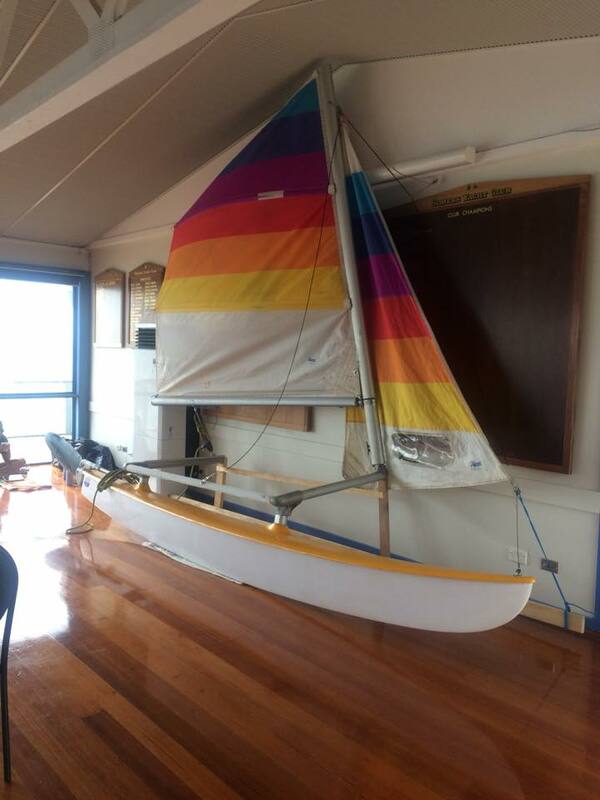 The Hobie 16 had a different winner in ever race. 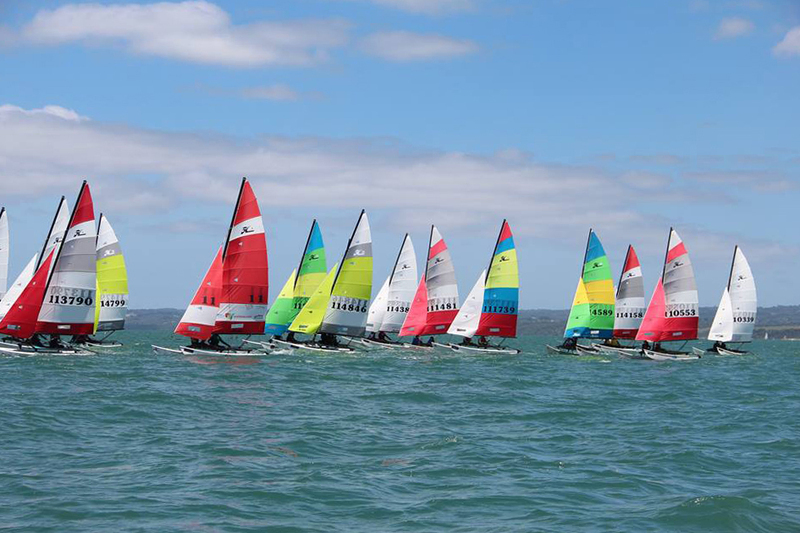 Showing again the competitive nature of the fleet. 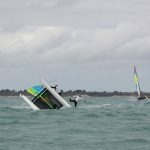 Defending champion Cam Owen commented on the competitiveness of the fleet. 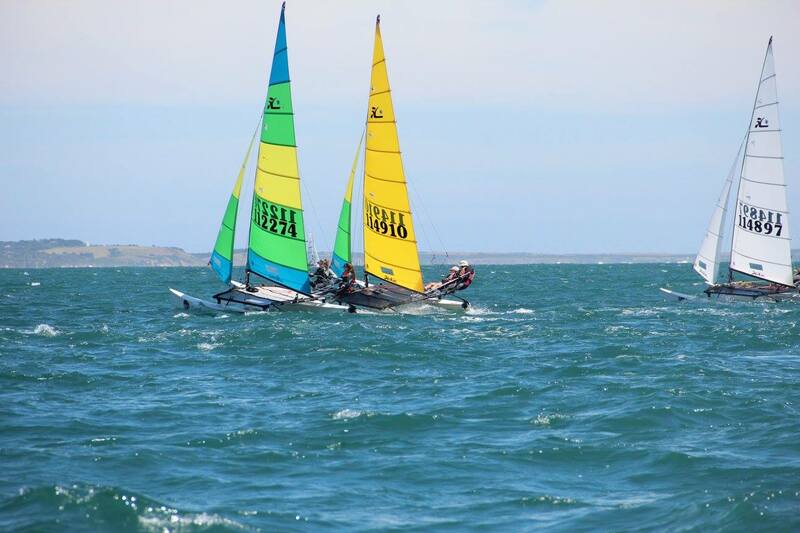 ‘one mistake is all it takes and you have lost the race’. 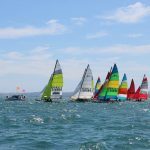 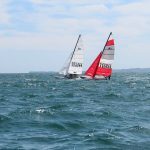 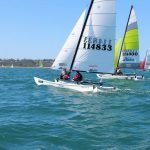 Leader after day 1 Darren Smith a former national Hobie 16 champion, ‘consistency was the key and the conditions just suited us today. 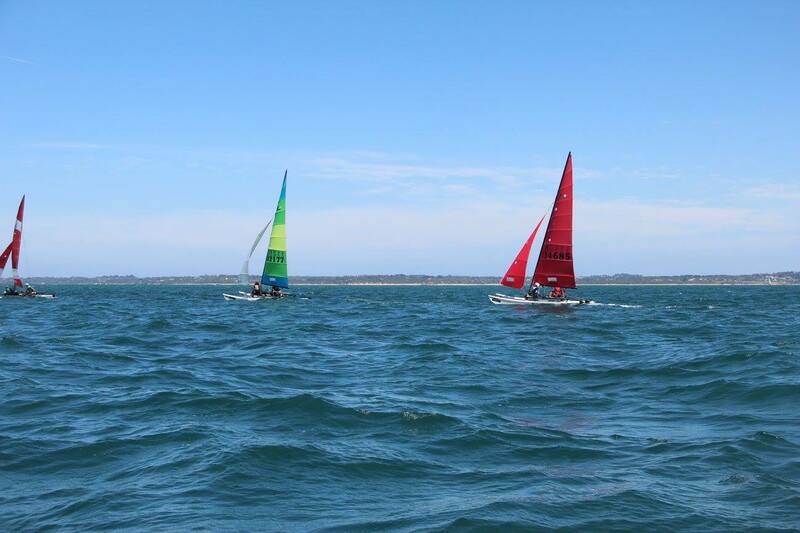 we worked the wind and currents and it just paid off‘. 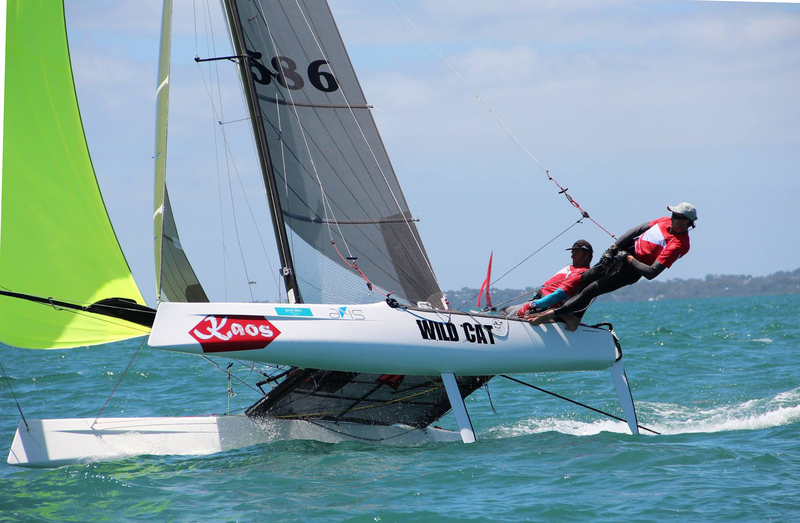 Former Hobie 16 world champion and current Hobie Wild Cat Champion Mick Butler. 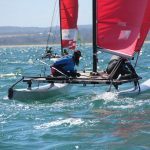 ‘we started off well with a win but Pete just found that extra gear and has the lead’. 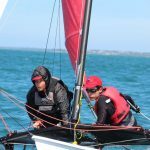 Video of Day 1 racing. 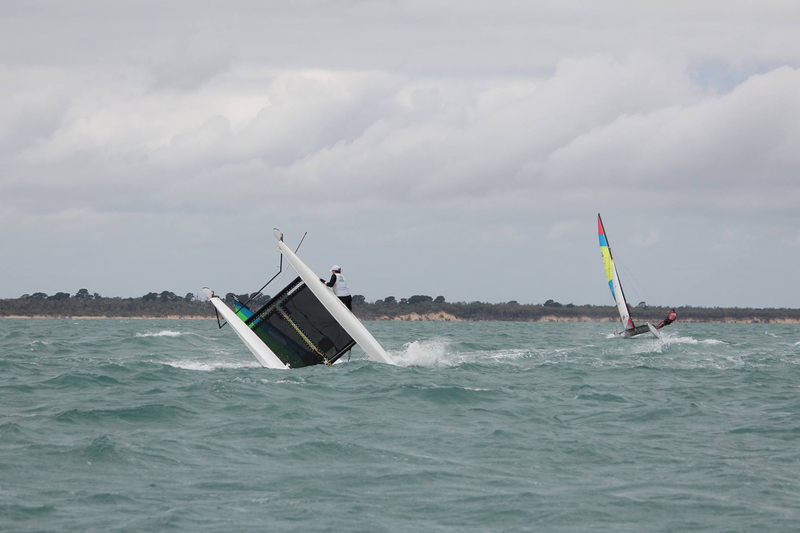 After the New Year lay day the sailors were greeted with 10-14 knots. 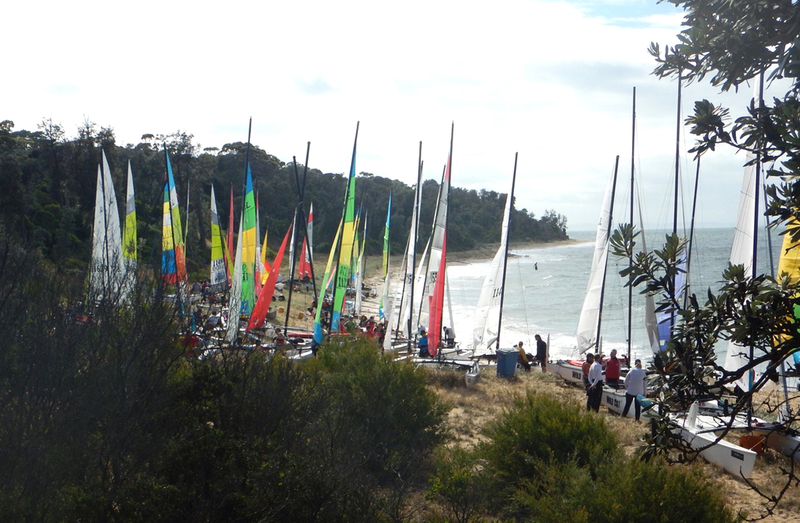 The race committee sent all the boats out for three races. 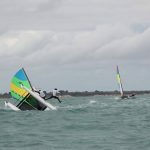 With the wind slowly building during the day the sailors enjoyed the conditions though the weather was cooler on the water then they expected. 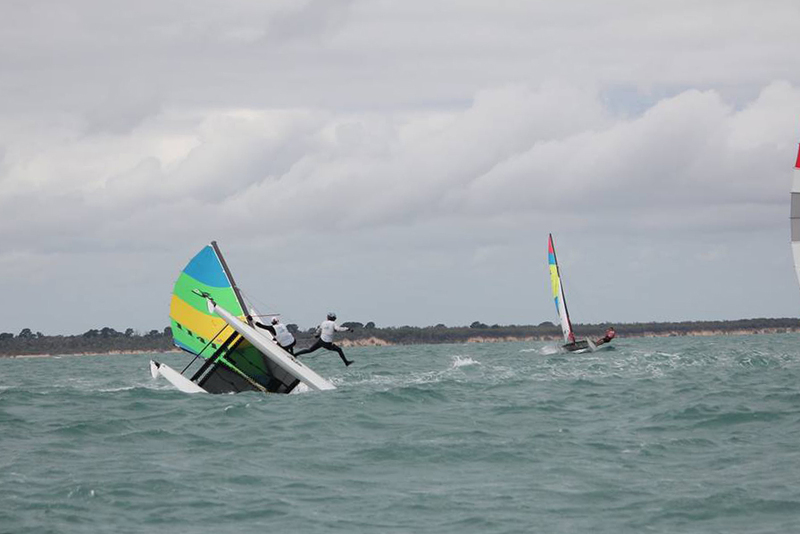 After a short break ashore the sailors left the beach for three more races. 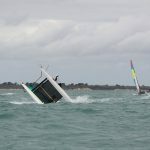 The wind increased as the tide turned. 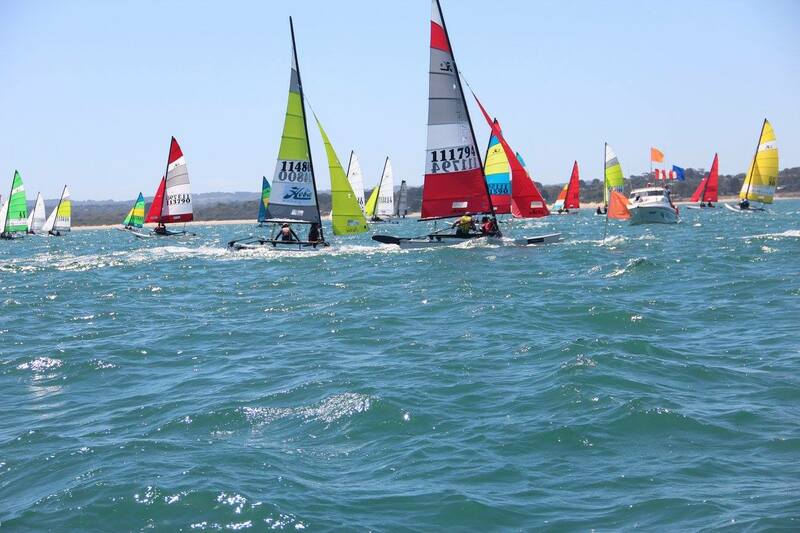 While the race course was relatively smooth. 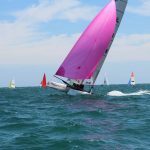 At the windward mark with the wind against the current the sea had some nasty chop. 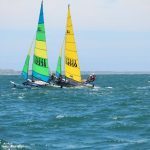 Though when back ashore all the sailors throughly enjoyed the conditions and the racing. 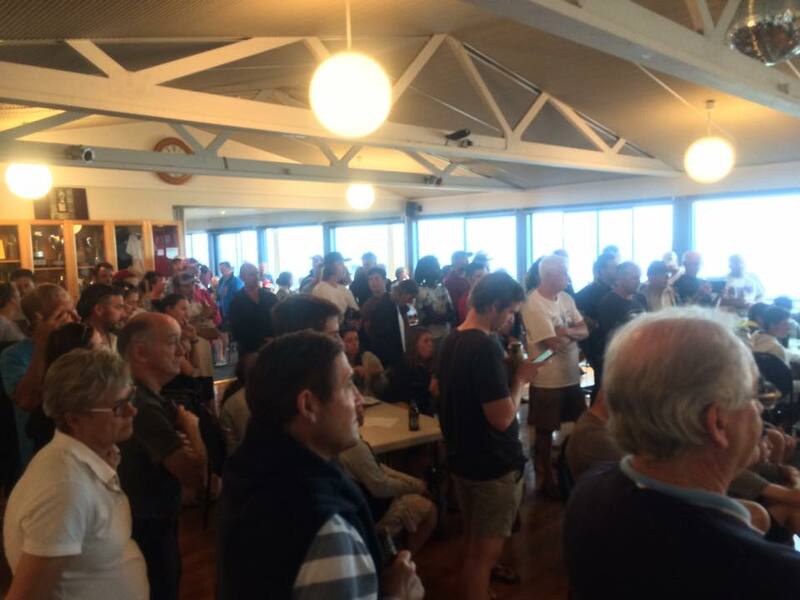 Though all the sailors were tired they are looking forward to the racing tomorrow. 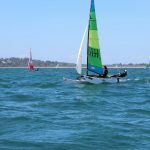 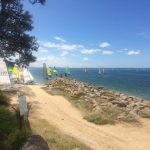 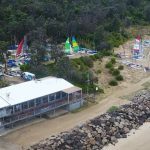 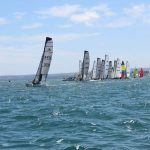 The last day of the the Nicholas Lynch Real Estate 2017 Australian Hobie® Cat National Championships started off overcast but quickly cleared. 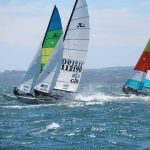 The sea breeze built slowly and steadily during the day to peak around 17 knots. 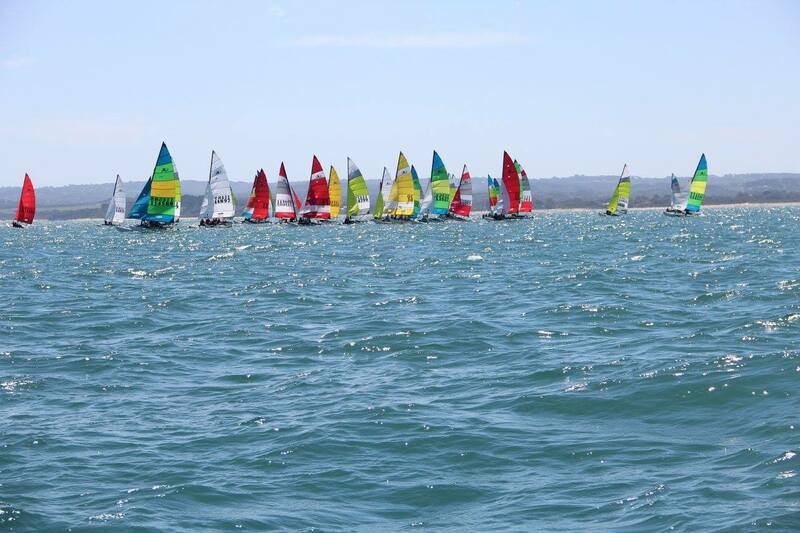 A perfect day to end the series with clear skies for the sailors. 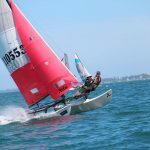 Four races was the best way to end the series. 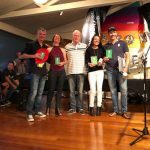 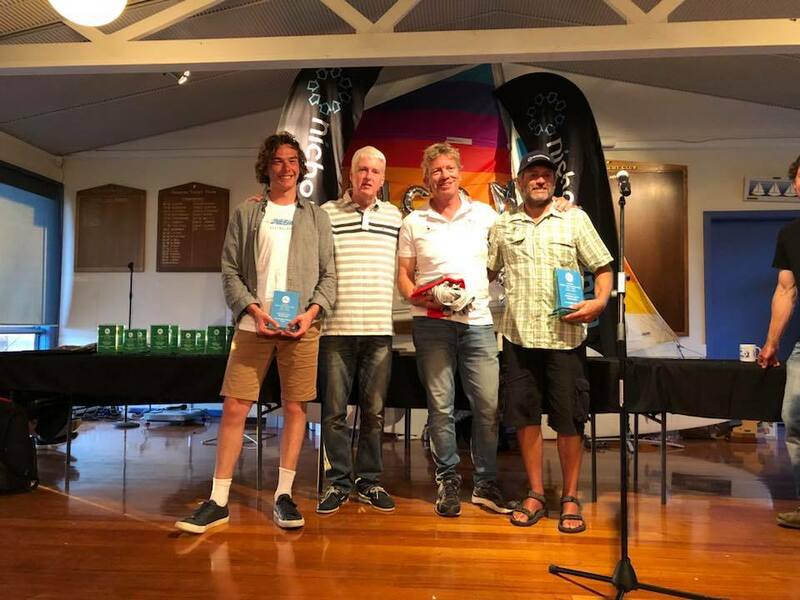 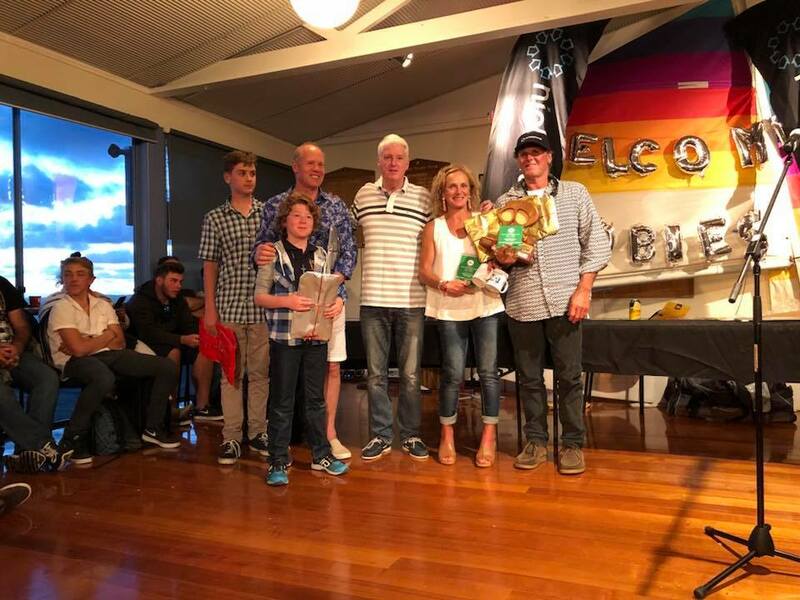 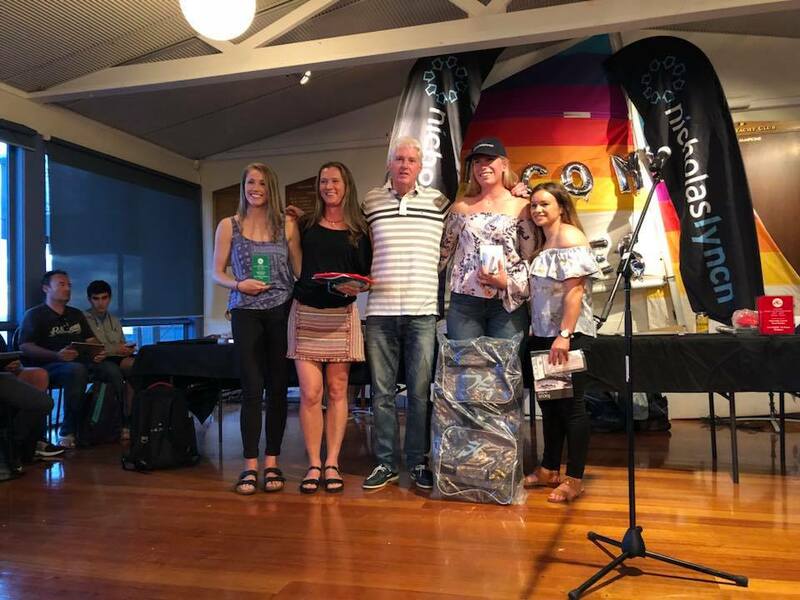 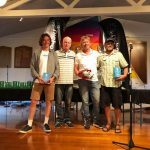 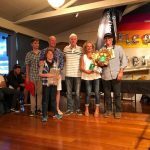 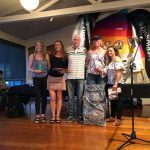 At the final prize giving a special award was given to Bruce Tadrew for his years of Hobie sailing. 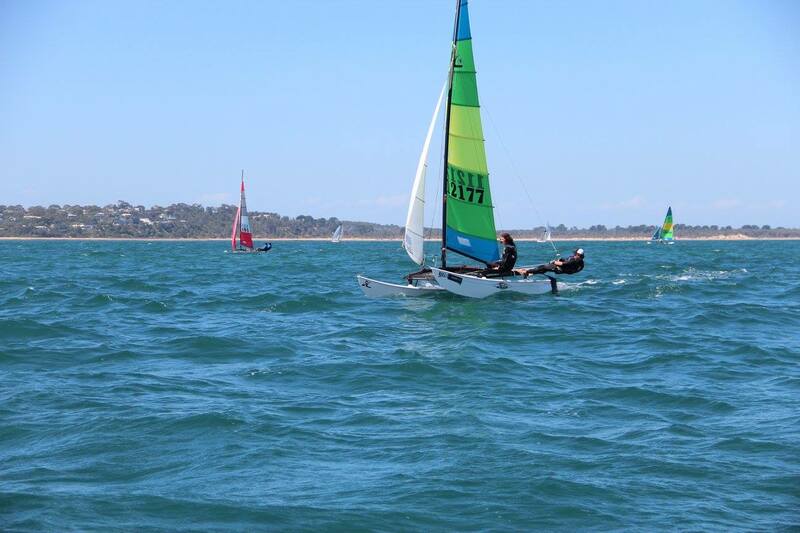 At 72 years old he is the oldest competitor at the championships. 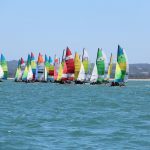 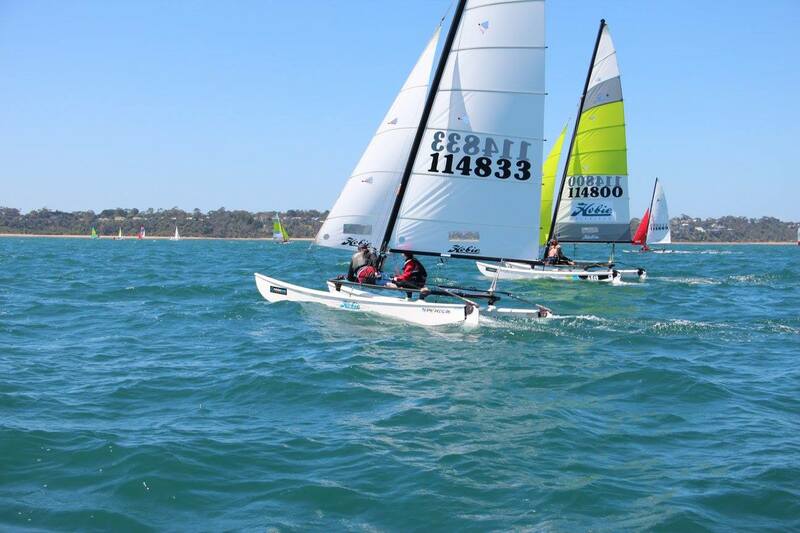 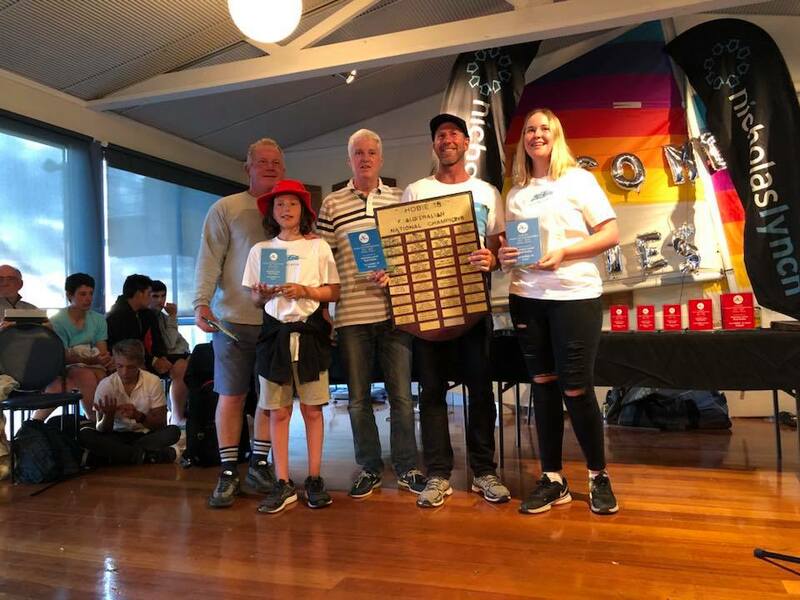 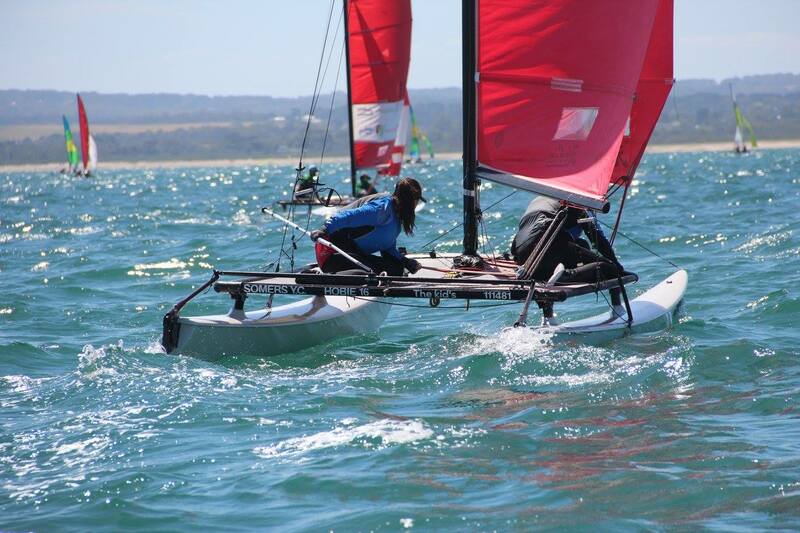 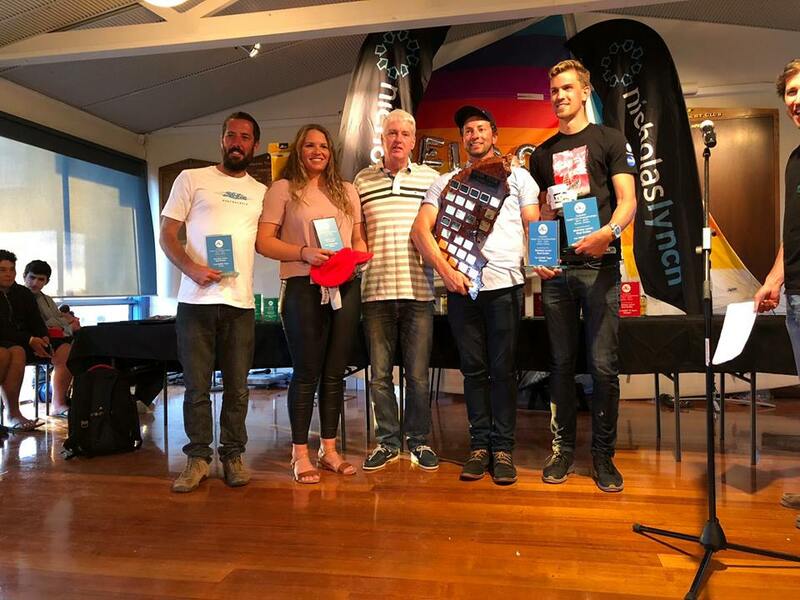 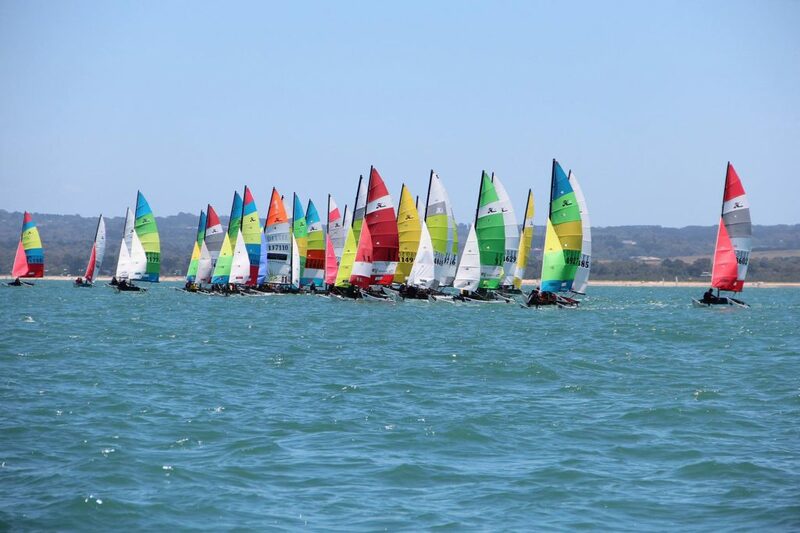 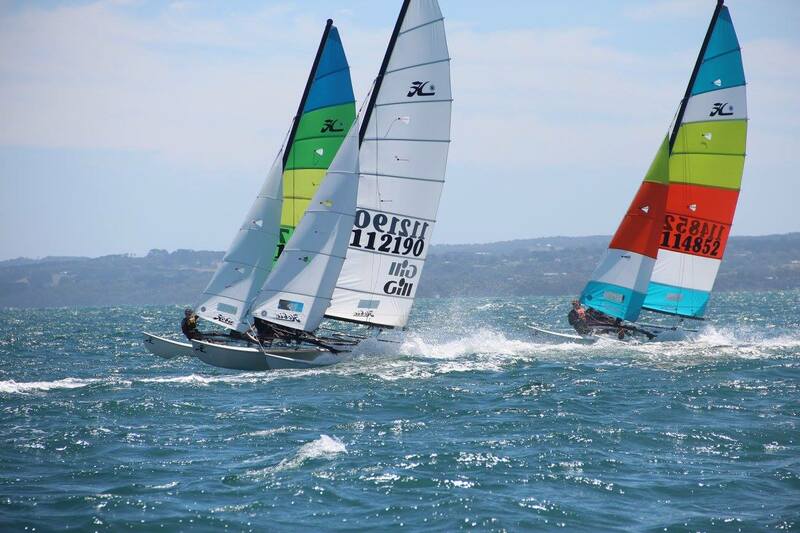 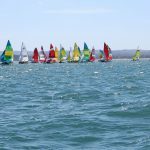 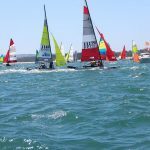 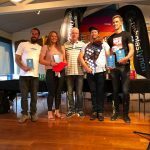 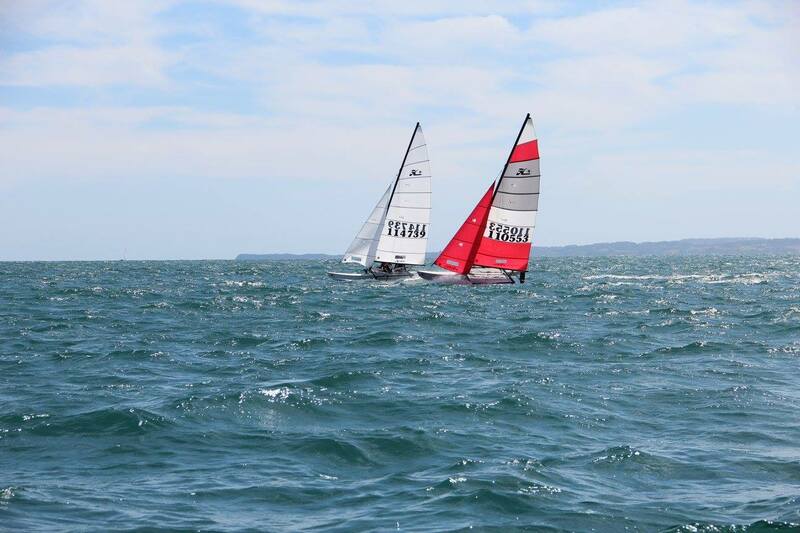 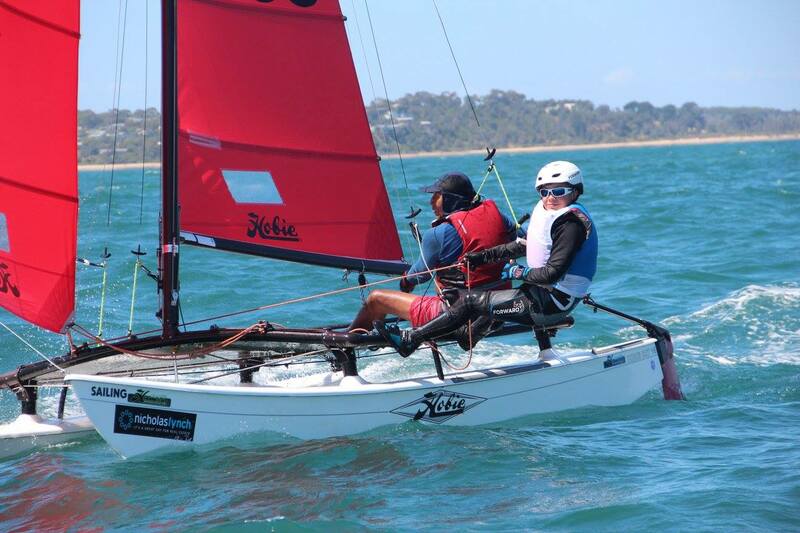 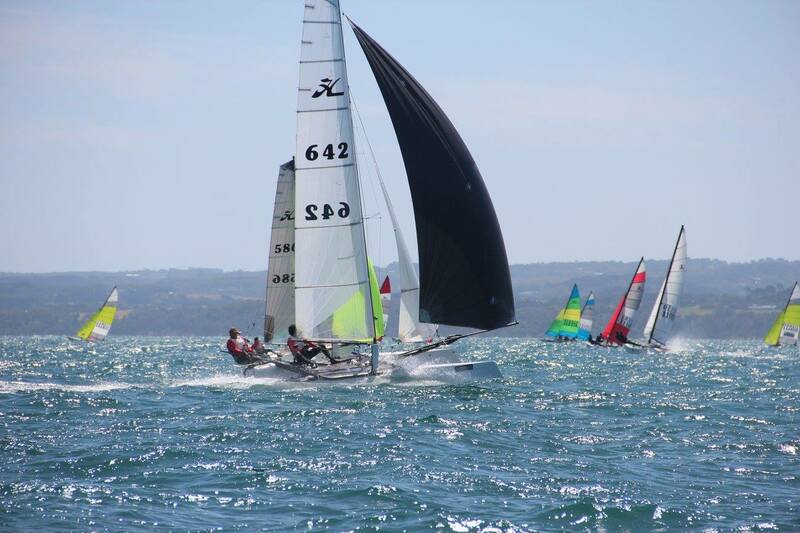 Next years Australian Hobie Championships will be confirmed very soon.